An ancient Chinese proverb states, “one mountain cannot accommodate two tigers,” which implies that People’s Republic of China (PRC) seeks to be an ‘Asian tiger’; and that it intends to be a, if not the, dominant force in the Asia-Pacific (A-P). The continuing incremental (and some would argue exponential) increase in influence and preponderance that China has projected over the last decade consisting of shoal reinforcement in the South China Sea, and more recently, its undertakings of the ‘21st Century Maritime Silk Road’—colloquially known as the ‘String-of-Pearls’ venture —continues to signal its preponderance on a major scale. The galvanising of territorial resources through the mechanisms of both claimed and arrogated assets and the numerous assertions that have been backed up by the actions offers evidence and credence to its ongoing regional determination. The current manoeuvrings are however, designed to reinvigorate, and re-harness what China believes are its capabilities, ones that were cut short via the impositions of greater powers. Examining, albeit a brief episode in Chinese history, enables an exploration of how the desire has emanated. The observation will also explain why the PRC government seeks to continue the momentum of its newfound status; and why it is keen to establish a reconfigured version of its historical reference in the early twenty-first century and beyond. The First Sino-Japanese War (1894 – 1895) brought about the granting of major concessions by China to foreign powers. After the loss of the Sino-Japanese War the subsequent Treaty of Shimonoseki (1895) would be implemented and it would prove to be the ‘final nail in the coffin’ of the Qing Dynasty. The downfall would deliver a windfall of economic and political benefits to Japan and other powerful Western actors, which had also placed considerable pressures on the dynasty. The Treaty and the subsequent tribute that was inflicted upon China, such as the insistence of opening more ports to trade, and the persistent continuing military and economic pressures would continue to play a part in China’s subsistence living standards and general economic malaise that would haunt the country for decades in the post-war years. Moreover the legacy of losing the war would impact on China’s previous legacy of being an intellectual, cultured, scientific and cosmopolitan country which had been usurped by external political actors which shattered its capacities; and delayed its future. The defeat and its ramifications, it can be argued lingers in the ‘political memory’ of China and continues to represent for modern day China, a cataclysmic and perennially outrageous event, which it is safe to argue, resonates within the PRC government, and Chinese society at large. Understanding this predisposition allows for the reclamation that is being attempted to be addressed. It is safe to argue powerful actors have always sought to exercise their rights over those which they believe fall within their sovereignty, and therefore, historical remit. Whether the reasons are through a concocted or an historically accurate and authentic reasoning remains a moot point, as any claims to territorial gain have their roots in, and are fuelled by ‘irredentism.’ This type of action has been, and remains a vibrant part of political machinations and it is China that has become the most recent major player that utilizes this political pivot for its claims. To be certain and to give clarity to recent events, China is not the only sovereign state that has been involved in exercising political and military force and utilize the political momentum of irredentism. In recent times the Russian Federation has used brinkmanship with regards to its irredentist-driven claims over the Ukraine. It should also be noted the major difference is its action have been much more constrained than China’s—Russia’s claims being geographically regional and not extended beyond Eastern Europe. Notwithstanding the above mentioned to gain a perspective on what the practice of irredentism brings to a given situation is to observe that it inevitably begins with occupation—as this is the most forthright element in the staking of a claim—in the first instance, and is then followed up by a ‘type’ of credibility in the second. To be sure, the action of hostile takeover requires political reinforcing after the initial kinetic phase of an operation has taken place, and it is here that a ‘reasoning’ of the action comes into play. History is littered with examples of kinetic action that has been followed up by a subsequent ‘reasoning.’ To emphasise the aforementioned combination of what can be deemed ‘takeover and reasoning’ in recent history includes but is not limited to, the following: Western Europe: Britain’s occupation of Northern Ireland through the prism of backing British loyalists (1922); Nazi Germany invading neighbouring states (1939) in order to reject the limitations placed on it by Britain and its allies after World War One; France invading Algeria (1954) in order to bring ‘stability’ to its protectorate; the United States of America (US) invading south Vietnam (1963) based on the proclamation of it being the upholder and protector of democracy; and Britain keeping a garrison on the Falkland Islands/Islas Malvinas territory post-conflict (1982) in order to dissuade negotiations and reinforce Britain’s sovereign claim. The East: Japan invading Manchuria (1931) based on the ideology of uniting Asia under one emperor (hakkô ichiu). The Middle East: Israel annexing the West Bank during the Six Day War (1967), and of following the action up with a deity-driven claim to the land in the post-war era. Eastern Europe: Russia overrunning Poland and Czechoslovakia (1948) on the pretext of removing de-facto communism and of insisting the action was necessary to bring stability to the region through political unity. All of the above comprise kinetic actions and have as a mainstay the intention of establishing control through a single prism: entitlement. In the first instance of setting up a solid and identifiable new status quo after winning the initial phase of the conflict; and of using a political or moral underpinning to further substantiate the claim in the second. Regardless of which reason—or combination of both—is used it eventually, on the part of the occupier resides under a form of justification: ‘unity’ and ‘stability’ are commonly used terms. What is of most importance in the process of the justification alluded to is the occupier invariably begins to countenance ever-greater notions of ownership as its irredentist platform strengthens. These policies have historically, come to the fore in the form of numerous factors: historic rights, traditional ownership, cultural attachment, regional stability and political significance is to name only some. The occupier’s eventual aim is to spread their brand of irredentism beyond the actual occupation and to drive an acceptance that the kinetic action had merit and therefore, so does the occupation. A further objective of the occupier is to gain international legitimacy and within this construct, use the redundancy of the claim to set up a framework through which any further negotiations will only be enabled by the most powerful actor. What allows for this to happen is an efficient power base and the associated ‘irredentism’ that is manifested in the cause and then the challenge. Re-aligning political memory is accomplished through reinstating a jurisprudence that is driven by ‘nationalism’ over the territory claimed and gained; and the movement of the dominant military and police forces to a base or bases in order to control the terra- nautical- and air-environments as well as the populace. A physical presence is a necessary pathway to the political ramifications as it offers an observable confirmation of superiority, and more importantly, of the reclamation being a definitive act. As stipulated, irredentism fuelled by nationalism has happened many times in history however, it is worth pursuing the ferocity that can be unleashed when the two components become enmeshed—this example is used as a precursor and signifier to an A-P war. Focussing on Nazi Germany in World War Two offers an example of a reclamation of territory that it perceived had been lost over previous decades, in particular due to the penalties imposed on it by the League of Nations—the forerunner of the United Nations—in the post-WWI. The nationalistic fervour Hitler generated irredentist policies which unleashed hyper-nationalism, and subsequently triggered invasions of numerous countries. As the war progressed and developed into a ‘total war’ the government of England faced with an invasion also implemented nationalism and irredentist policies to overcome the crisis. Nationalism was encouraged in order to bring the British population together and fight; and irredentism to ensure the re-implementation of a civilised Europe by expelling the Nazi regime. The outcome for England was to generate a unified population and a single goal: to vanquish all the people of Germany for allowing Hitler to come to power. This would be accomplished by allowing the Royal Air Force (RAF)—and as the war progressed, its allies—to engage in the ‘punishment phase’ of bombing. This would include as many civilian targets as possible in order to destroy the Third Reich and would have the added advantage of removing the possibility of the German people implementing nationalist or irredentist policies in the future. The bombing of the German population would have the near-complete support of the English people; and subscribe to the premise of total war demanding the unconditional surrender of the enemy. Within the confines of the above mentioned an acknowledgement of what was needed in order for the RAF to carry out its task. For the RAF and its allies the basis of the strategy and the ability to carry it out reside in Weberian notions of ‘hierarchy,’ and the decision-making therein. The RAF was therefore, given the political and moral underpinnings that have been alluded to by the British populace and with the requisite nationalism and irredentism intact, to carry out what the population deemed necessary to reconfigure the status quo. In this case the revenge on all Germans for their misdeeds. Hence, irredentism and nationalism had formed a collusion within the populace that allowed for a rationalism to take place: in defeating the Third Reich there would be no tactical, strategic or moral boundaries. Historically it has been proven that nation-states that combine powerful combination of irredentism and nationalism and then proceed to back them up with direct force, have proved to be difficult adversaries and the combination of these elements has allowed a given conflict to become a slog-of-attrition. Countries gain an immense advantage when they employ irredentist and nationalistic fervour in order to react against an adversary or to trigger a conflict. In WWII this would comprise but not be limited to, the Third Reich invading and reclaiming Poland; US forces ‘taking back’ the Philippines in the Pacific phase; the Imperial Japanese Army in East and Southeast Asia, Russian forces annexing East Berlin; and Finnish forces fighting German military forces, as well as threatening Russian forces on their border. All would be focussed on what was ‘theirs’ and have the requisite historical, nationalistic, irredentist, and political mechanisms in place to carry out the required mandates; and would have the appropriate Weberian and industrial components to execute their tasks. In more recent times and in order to establish that both components remain vibrant although not on the scale of WWII, a similar analogy could be applied to North Vietnamese regular and irregular forces in the Vietnam War (1963 – 1975) and ‘tribal populations’ in Pakistan and Afghanistan that are attempting to repel American and North Atlantic Treaty Organization forces. All of the forces in opposition to the West have applied irredentism and nationalism as part of their overall strategy. Irredentism and nationalism as per the above mentioned, comprise a formidable and lethal combination. They are driven by a sense of ‘righting past wrongs’ and the manumission of what has been thrust upon a group and therefore their territory. The PRC, through the auspices of the unity of the Chinese people, a newfound mechanisation and industrialisation, and a more robust regional and international presence to insist that the Chinese people have a veracious right to what has been arrogated by other powerful actors. 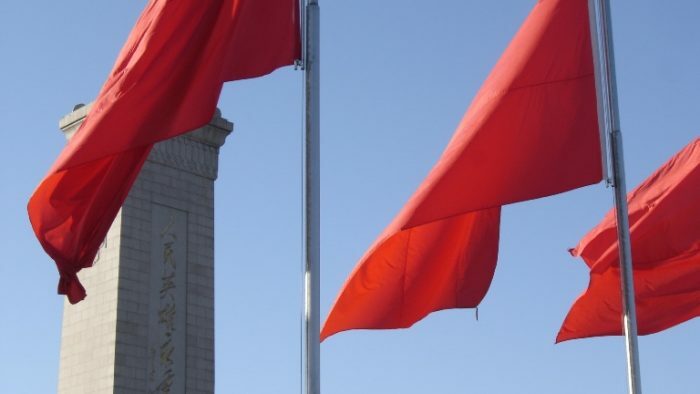 The degree to which the PRC will pursue its claim in the A-P in the first instance and internationally in the second, has yet to be fully developed. What is certain however, is exercising a greater level of brinkmanship has come to the fore in order to express the irredentist nature of its claims. As with other nation-states and their claims over less-powerful actors, China will combine irredentism and nationalism in its quest for regional dominance in the A-P, and it is with this in mind that the trajectory that it will take can be assessed. China in the twenty-first century has already begun its movement toward influence through threat-of-force and its policies are irredentist by intent and the PRC government has shown to have an ongoing and strong codicil of assertiveness. Direct force beyond a stronger passive military presence as per the ‘One Belt, One Road’ initiative and the associated preponderance this announces has to date, not resulted in a major kinetic exchange. Whilst there have been several minor exchanges with Vietnam and the Philippines its strong rhetoric associated with its South China Sea determinants are nevertheless, strong signals that the PRC’s intention is to be a major actor in the region. It is with this in mind that the notion of how the process of re-establishment takes place through the prism of irredentist policies. From circa-1995, the PRC has sought to achieve its intrinsic rights through ongoing assertions backed-up by direct force projection; and preponderance in general. Establishing how this has happened; and the commensurate irredentist policies will give the machinations in the A-P a greater perspective. The fundamental component of the transfer comprises a triad: the threat-of-force having a solid foundation through a focussed military presence; the capability to deliver direct force; and the ability to reinforce (and prolong) a kinetic military exchange. What helps drive the focus alluded to and its accompanying sense of purpose is a high degree of cohesion within the society, and the subsequent ‘hyper-nationalism’ that is generated. The non-questioning of past events within the populace—or at least minimal adverse reaction to polices—allows for the objective to take place. Hence, there is no subjectiveness associated with the notion of regaining a ‘rightful’ place. From this belief by the populace that an event or a series of events having been unwillingly thrust upon them incurs within it a comprehensive reaction, which in turn generates the level of suasion that needs to take place. In the first quarter of the 15th century, the great Chinese Admiral Zheng … sailed the Indian Ocean and led seven expeditions to Indonesia, Southeast Asia, India and as far out as the Horn of Africa … [which] consisted of 27,800 men and a fleet of 62 treasure ships and was supported by approximately 190 smaller ships. The first step in the process was a domestic upheaval which would draw out a positive compliance within the populace and Deng’s policies would encourage wealth whilst remaining faithful to communism—the polity of ‘one country, two systems.’ This is the method Britain would incorporate in the British Industrial Revolution (1750 – 1919), with the implementation of greater public access to education and health by the lower-classes; a general improvement in the conditions of the working classes; a broad encouragement for industrial development; and emphasising the notion that one’s duty and honour remains with Britain regardless of geographic location. As the Chinese populace developed a greater awareness of the ‘place’ that had been usurped by the West the PRC began to incrementally exercise its perceived pre-ordained historical ‘rights.’ The first major step was the ‘Nine-Dash Line’ and this was closely followed by activity in the South China Sea—Mischief Reef and the Paracel Islands. Concomitant to the expansive sea-claims the PRC would move against its political rivals, the US, Japan and Taiwan in particular; exercise a more determined stance in the UN and other associated governing bodies; and remain with the continuum of building its armed forces. The US would be accused of having a ‘Cold War mentality’ toward China’s peaceful expansion, Japan would be arraigned ‘threatening peace’ in the A-P, and the Permanent Court of Arbitration’s ruling on Philippine claims in the South China Sea being dismissed as ‘nothing more than a piece of paper,’ and Taiwan being threatened with decisive action through China’s ‘anti-secession law’ China has moved its armed forces offshore and this is an example of a country exceeding its previous limitations, and moreover it has sought to use financial sway accompanied by a military presence—the One Belt, One Road initiative being a prime example. The message is and remains China is reclaiming territory in conjunction with healing its past. A country that has the objective and then carries out the process of launching an invasion has an inherent desire to change the future, whilst incorporating within this paradigm a resetting of an ideology; or ideologies. Whilst acknowledging this has happened regionally for China with the invasion and occupation of Tibet (1950) under the auspices of ‘integration into the motherland,’ the predominant issue remains that China is adopting the stance of a powerful nation-state and this requires a combination of nationalism in the domestic sphere and irredentism that is expressed through actions that reconfigure through the prism of the past. An irredentist stance has been taken by the US in the post-WWII era as it has continually established a strong and overriding military and geo-strategic presence in the A-P, one which has been fuelled by its initial winning of the Pacific phase of WWII; the stemming of the Soviet Union in the post-WWII era; and a consistent military presence with the A-P region up until the collapse of the Soviet Union (1989) and post-collapse. The strategic opportunism that the US has employed until approximately 2005 remained relatively constant and straightforward and based on the pretext of its ongoing superpower status, and its strong domestic nationalism that supported its hegemonic stance in the A-P. Part of this stance it can be argued, has also been fuelled by the enormous losses the US suffered in the re-taking of the Pacific islands during WWII which invigorated a post-war hyper-nationalism which resulted in securing US’ preponderance and empire-stretch. China has entered the twenty-first century with similar regional and geo-strategic inclinations. Whilst the tenets of the PRC stretch much further into history than those of white-settlement America, the aims associated with irredentism funnelled through the prism of domestic nationalism remain intertwined and forceful. As has been demonstrated the PRC is flexing its strategic focus through ‘soft power’ (diplomatic focus), ‘hard power’ (a military presence) and ‘sharp power’ (offering financial remuneration to a country as long as China’s military presence is allowed). These tenets will remain vigorous and increase as the contest for control of the A-P between the US and China continues. China will not delay its newfound status and will continue as the PRC’s intention to ‘right past wrongs.’ The chance of a kinetic exchange not taking place therefore resides in the US reconsidering the A-P’s strategic ‘value,’ and the US government adopting a previous position it held regarding Britain in WWII—Congress was ‘rife with isolationists,’ in the 1930s and considered the war to be a European problem and no help was forthcoming. To date however, and as China becomes more powerful and retains at its foreign policy core of irredentist policies being fuelled by domestic nationalism, the chances of brinkmanship will incrementally, and then exponentially increase. Since approximately 2005 there has been no reduction in the US’ or China’s preponderance and unless the US Congress becomes once again ‘rife with isolationists’ as it was in the 1930s, the ‘zero-sum-game’ attitude to the A-P will remain vibrant—which implies a war is looming. Rajaram Panda. ‘Djibouti Military Base Is a New Step in China’s Maritime Footprint.’ Global Asia. Vol 12, 3, 2017, 79. Global Asia, 79 – 80. Countries which would benefit the most from China’s demise would be France, Russia, the United States of America, Britain and Germany. Political memory is a complex and multi-faceted happening which is unable to be dealt with in this essay beyond a brief explanation. This analysis uses the argument that political memory resides in an ongoing narrative about an event (or events). Implicit within the narrative is to have it believed and perpetually re-told and thereby, its truth reinforced. The aforementioned is succinctly stated by Forchtner (in quoting Toolan) who states, ‘all narratives are also rhetorical in their bid for power and their attempt to convey a persuasive message.’ Bernhard Forchtner. Lessons from the Past. Introducing the Rhetorics of Learning. London: Palgrave MacMillan. According to Gochman, ‘brinkmanship’ becomes part of political manoeuvrings when, ‘decision makers perceive a dramatic impending shift in the balance of power in favour of an adversary and/or a substantial internal challenge to their own political position at home.’ See: The Process of War. Advancing the Scientific Study of War. Edited by Stuart Bremer and Thomas Cusack. Australia: Gordon and Breach, 1995, 97. The security dilemma that was constructed by the US in Southeast Asia during the early-1960s demanded a forthright response. The level of concern becomes evident in the words of President Kennedy in his postulation that if Laos, Cambodia, and Vietnam fell to the communists it would result in the ‘gates of defeat’ for liberal-democracy would be ‘open wide.’ See: John Kennedy. ‘Address in New York City before the General Assembly of the United Nations.’ September 25, 1961. United States Government Public Papers. ‘Total wars involve a high mobilization of society … Because total wars take on the characteristics of a fight for survival, they tend to mobilize resources and means to wage battle with few restraints … The goals in total wars are much more open-ended and often expand as the war progresses. Total wars often demand the complete overthrow of the leadership of the other side …’ See: John Vasquez. The War Puzzle. Cambridge: Cambridge University Press, 1993, 67. The ‘punishment phase’ of aerial bombardment is designed to ‘inflict enough pain on enemy civilians to overwhelm their territorial interests’ and in doing so induce surrender, or hasten total defeat. See: Robert Pape. Bombing To Win. Air Power and Coercion in War. New York: Cornell University Press, 1996, 59. Whilst Weberian rationalism cannot be separated from Western-modernity (and its bureaucratic tenets), what is of interest here is rationalism and irredentism being conjoined to military achievement. To wit, the ‘efficacious use of airpower demanded—as part of its root functioning—the inclusion, creation and implementation of strict rationales and clinical decision-making processes,’ and I further argue, the rationalism of Royal Air Force Bomber Command was seen to be a ‘national level’ icon, and was formed by the government with the near-total consent of the populace which embraced nationalism and irredentism. See: Strobe Driver. Why winning a war is no longer necessary: Modern Warfare and the United States of America through the prism of the wars of Vietnam and Iraq. Federation University, PhD Thesis, 2010, 75 -78. Coser avers that rationalism, consists of bureaucratic coordination of activities, their organization according to rational principles, offices being ranked in hierarchical order, and their operations characterized by impersonal rules methodological operation of jurisdiction and delimited spheres of duty.’ See: Lewis Coser. Masters of Sociological Thought. Ideas in Historical and Social Context. New York: Harcourt Brace Jovanovich Inc, 1977, 230. Weber’s version of ‘rationalism’ is further supported by Wrong, in that the ‘strict form of hierarchical norms of social organization exemplifies the process of rationalization.’ See: Dennis Wrong. ‘Bureaucracy.’ Max Weber. Edited by Dennis Wrong. Prentice-Hall: New Jersey, 1970, 32. The Vietnam War is ‘known as the “American War” in Vietnam.’ See: British Broadcasting Corporation. Timeline: Vietnam. The implication when including tribal peoples is to highlight that whilst it can be argued they do not ‘fit’ the traditional notion of nationalism with the realm of the nation-state, they do have cultural ties and identity concepts which when brought together, develop and promote a form of irredentism and cultural grouping which proves successful in achieving their goals. This information is mentioned and should be taken in conjunction with the ‘21st Century Maritime Silk Road’ project mentioned in Part One. The ‘One Belt, One Road’ initiative comprises, ‘On land, Beijing aims to connect the country’s underdeveloped hinterland to Europe through Central Asia. This route has been dubbed the Silk Road Economic Belt. The second leg of Xi’s [ President of the People’s Republic of China] plan is to build a 21st Century Maritime Silk Road connecting the fast-growing Southeast Asian region to China’s southern provinces through ports and railways.’ See: Peter Cai. Understanding China’s Belt and Road Initiative. Lowy Institute, March, 2017, 2. Djibouti Military Base Is a New Step in China’s Maritime Footprint,’ 78 – 79. Deng’s policies template for ‘one country, two systems has as its cornerstone the ‘Four modernizations,’ which stressed new approaches to agriculture, industry, science and technology and national defense.’ Charles Gritzner and Gary Whiteford. China. Infobase Publishing, 2010, 77 – 80. There is much debate amongst historians’ regarding when the British Industrial Revolution began and finished. Some argue is began circa-1700 and others not until the mid-1700s. When it finished is also debatable with argument ranging from 1919, when Britain was exhausted by Word War One to others arguing Britain remained a manufacturing force until the end of World War Two when it was overtaken by debt and debilitated. For a succinct analysis of the aforesaid see: ‘Industrial Revolution.’ The Editors of Encyclopædia Britannica. ‘Historicism,’ is when history is ‘seen as a standard of value or a determinant of events.’ See: ‘Historicism.’ MerriamWebster. In general terms it is also deemed be a version of history that is ‘funnelled through the mechanisms of State,’ in order to reinforce a prescribed ideal that will benefit the country. Stanley Weintraub. MacAuthur’s War. Korea and the Undoing of an American Hero. New York: Free Press, 2008, 54. According to Cohen a ‘zero-sum-game’ or ‘zero-end-sum-game’ is the polarized ‘win-lose’ environment that is dictated by the extreme of the hostilities and is summed up, ‘when one state wins the other must lose.’ See: Benjamin Cohen. ‘International Finance.’ Handbook of International Relations, 441. Italics mine. Strobe Driver completed a PhD in war studies in 2010 and since then has been writing on war, war history, terrorism, rise of China and Asia-Pacific security in general. He is currently a recipient of a 2018 Fellowship from the Ministry of Foreign Affairs, Taiwan R.O.C., and is writing an analysis of cross-Strait relations with regard to Taiwan-China developments.